MODUS approaches all projects, large and small, as an opportunity for innovation, and when appropriate, sustainable designs. 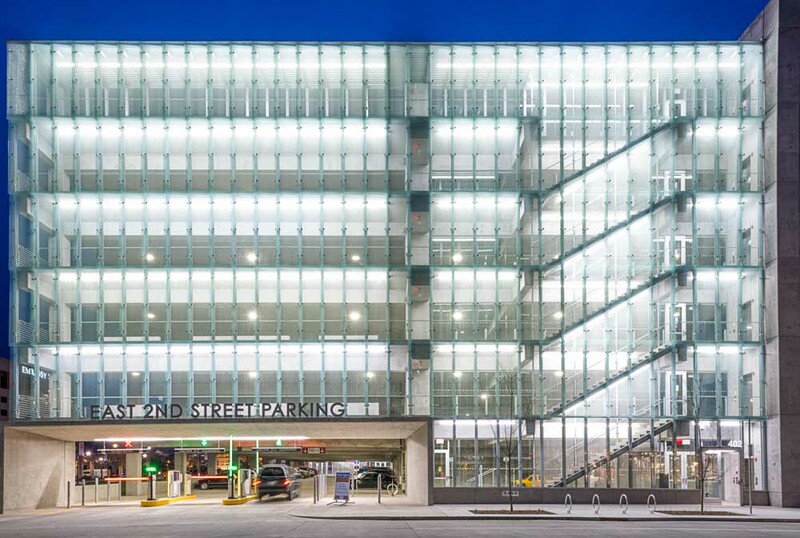 The 2nd street parking garage is no exception. With the vast majority of the building being outdoors and unconditioned, small standalone heat pump minisplit conditioning units were used to heat and cool the elevator shafts, elevator equipment rooms and mechanical and utility rooms. A cold water washdown piping system is provided throughout the structure for city staff to connect to and spray down/clean the parking deck. Other mechanical features include a large sand/oil sediment interceptor capturing sand and other solids from the water running off the parking deck prior to it connecting to the city sewer. The entire facility can be run off the rooftop photovoltaic system during peak solar season. 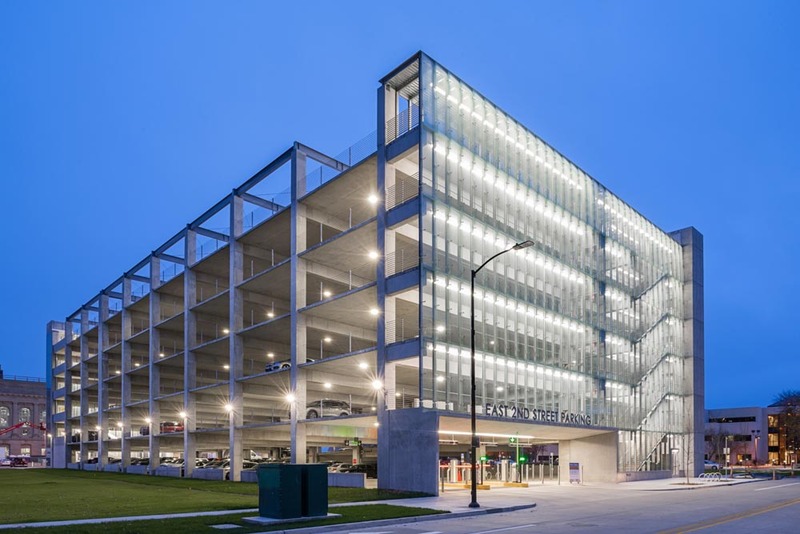 The first phase is currently installed to allow the parking garage to be a standalone system, not reliant on City utility power. The second phase can double the number of photovoltaic panels allowing the facility to generate power for nearby structures through coordination efforts with the local utility. All lighting is LED and controlled by a networked lighting control system to meet current energy codes. The parking light fixtures have integral occupancy and daylight sensors to dim fixtures to lower levels when space is unoccupied with the ability to turn to full bright upon command of a vehicle or pedestrian nearby; saving energy consumption and presenting less load on the City’s utility grid.